As we write this, the hours of Ramadan tick by and it’s almost gone, for another year. Yet, do we know that we will see next year’s Ramadan? There are no guarantees are there? I was sat with a friend during the retreat of the last ten days of Ramadan in the masjid. On the last day, we were silent for a few moments, and then we both began to look at the clock; as the seconds ticked by. Checking our watches, we found out that there was only a minute left of Ramadan. He said let’s make the most of it and we recited the Chapter of Purity (112) three times to get the reward of one Quran recited. Then when the fast was over, he looked at me in the eyes and said, "It’s over, Ramadan is over." This really shocked me that the time was now over and I felt that I had not taken advantage of the time. Did I use the time well? This thought plagued me like snake running under my skin. I wanted to go back and start the month again and do more than what I did. Once the time has gone that is it, it's not coming back. We were thinking about adding another note about Ramadan, but all it would be is a repeat of what we have said before. That was until we began to ponder something that Sheikh Yahya Rhodus quoted from a scholar, about sins in Ramadan. The scholar had said that one of the possible reasons for sins was that the footsteps of satan were still there and the person was following these footsteps as he was accustomed.During Ramadan any sins that are committed are not the fault of the satan, but the fault of the Self/Naafs. This can be scary, that a person’s sins are all his fault, yet if he is accustomed to committing sins then he continues. His self needs to break this chain, but can he? Now that the excuse of blaming satan for our sins is gone, who else do we blame? We have been given a great opportunity to break this cycle, to break this habit and to start a new habit, a good habit. It’s a great chance to free yourself from being in a place and doing something sinful. It is one of the most difficult things to free yourself from sins at first, but later this becomes easy; changing the bad habit into a good habit.The Nafs is the greatest enemy of man and in this month you can learn more about the self than any other month in the year. All its faults are clear and it’s scary to see all these faults; but now you know what is coming from your self and what is coming from satan. So prepare yourself for when satan comes back! Today may be the last day of Ramadan and like last minute Eid shopping, we need to strike a bargain. How about you give one pound and you'll get ten pounds back, sounds like a good deal to me! There is a divine narration that states, "Spend, son of Adam and you will be spend upon." This is not a bet, this is not a secret, this is known by all. Allah (Mighty and Majestic) will repay us better than we could imagine. We are not saying to make things difficult for yourselves, no, just give out the money that is spare and not needed for food and other essential needs. Then again a smile is charity and it’s very cheap! Please make a supplication for this lost soul and inshallah, I'll try to make the most of this Ramadan before it’s over. Tomorrow could be the last day of Ramadan for 2008 and after that, it is not coming back! I read the following passage of the Quran and it made we wonder about the possible meanings of this verse. I wanted to see what scholars understood by this verse so I headed for the exegeses. In the book Islam: religion of life (A. Wadud) the author translates part of this as the Prophet (peace and blessings of Allah be upon him) said, “I am the Messenger of God now sent to you, and to humanity at large.” Now let us take a glimpse at other commentaries. Tafsir Jalalaan confirms that the Prophet Muhammad (peace and blessings of Allah be upon him) is being addressed here. I wish to now turn to the prophetic narrations that were included in some of the commentaries that we have previously read. All the evidence is clear that the Prophet (peace and blessings of Allah be upon him) is the first and the last prophet. He is a prophet for all nations, all colours, all races, all nationalities, all tribes. He is not a Prophet confined to neither people nor place, he is a prophet for all times and all places. The time in which we will find out how important he is on the day of judgement. During the lifetime of the Prophet (peace and blessings of Allah be upon him) Jews and Christians became Muslim, why? Those religions became abrogated when Islam came and this lead to the end of those messages. Islam is the completion of the prophetic legacy, prophethood began and finished with the same name. As all the Prophets began in the name of Allah and finished in his praise. We should now consider that we are around people of who are not Muslim and we must know that we have a responsibility to deliver the message of Islam. Many of us have failed in this, we have failed to reach them. The fact we are Muslim means we have to deliver this message to the people, no matter who they are. There are two groups of his nation the people of the call and the people who are to be called. We must begin to call those who are in need of this religion more than then could possibly imagine. Every meeting with any non-Muslim we must ask ourselves are we presenting Islam in it best light. One of the worst things a Muslim can do is curse a non muslim, in pride out their Islam and contentment, their disbelief is something that a Muslim should never be happy about. Yet, we walk the streets and curse the people for the way they dress or what they say, is this the Sunna? Would the Prophet Muhammad (peace and blessings of Allah be upon him) do this, did he do this? Did he ever have so much pride that he was happy and content in others disbelief? Never. This action is not coming from him, it is coming from us and this is the worst thing. We pretend to be representing Islam yet we act worse than non Muslims, how will they ever see the beauty of Islam when we do this? How will they see the beauty of the character of the Prophet (peace and blessings of Allah be upon him) when we do follow it ourselves? All we do is increase the gap between them and Islam. Then whose fault is it? Our fault, we did not portray Islam as it should be and we have more than one sin upon us. There is a ruling in the principles of Jurisprudence, contentment of disbelief is disbelief. So who are the disbelievers when we are happy about their disbelief? How dangerous is this? Am I presenting Islam correctly? Whether we like it or not, people will get an impression of Islam and Muslims from meeting us. We must help those people who have made a sometimes long, arduous journey to Islam and not look at these people as different, because it does not matter who we insult, we insult a member of the nation of the Prophet Muhammad (peace and blessings of Allah be upon him). If I was to speak about myself then I would be able to fill books about the times that I put people off Islam. This is due to my ignorance, anyone can be Muslim and it does not matter who or where they come from. May Allah forgive me for limiting the religion, when Allah opened his religion for everyone. I should have had more insight, I think about it everyday, how I put someone off Islam. May Allah forgive me. All praise is for Allah mighty and majestic and may peace and blessings of Allah be upon his final messenger Muhammad. Mashallah, this site is excellent, Masud posted it on his website and it deserves another post, here. If you click on this link http://www.quranexplorer.com/quran/ you can go through the Quran, in different scripts, reciters and translations. Its an excellent tool for anyone wanting to review the Quran that they know or learn parts that they did not know. Don't forget that a letter is worth more than ten this month! Enjoy. Study only, the text that you are currently reading, as if you will never study it again and that you'll never get a chance to study it again. Make every second count, study the text before and after the lesson. Be serious about this and do not slacken, self study should be only for topics like history and then if you have a question would you go forward and ask. It is very easy to get distracted, so be aware that satan does not like the fact that you are studying, so concentrate. Repeat the same lessons until its part of you. Do not eat too much or little, enough that will aid your studies, if its a particular food then eat it. I find chocolate slows my thinking down, it may be different for you, anything fresh is better. Thinking about your lesson is better than doing it and forgetting about. On your way home ponder what you have studied as Imam Nawawi used to. Also talking about your lesson to others can help. This is really a non issue for most Muslims because this is known as fact that there is not other Prophet after Muhammad (peace and blessings of Allah be upon him) nor is there another Messenger, as this has also ended. Here we wish to prove this fact beyond a shadow of a doubt. What we wish to do here is examine some proofs and then explain them. So firstly we must state that the words Prophet and Messenger are the synomyns, in terms of language. In terms of sacred law the difference between a Prophet and Messenger is; a Prophet backs up the previous message (he doesn't bring a new law nor is he ordered to convey it) and a Messenger brings a new law (he is ordered to convey it). This is also one of the facts of a messenger/ prophet that they confirm the previous prophet/ Messenger. Prophethood was passed from father to son, father to son, father to son. So when the passage speaks about the Prophet (peace and blessings of Allah be upon him) not being a father of any of the men. This means that Prophethood ended; it stopped; the passing of prophetic chain has ceased. The great lineage of the Prophets had come to an end and it was to travel no more. "Muhammad is not the father of any man among you, but the Messenger of Allah and the Last of Prophets. And Allah has knowledge of everything." [Qur'an 33:40]"
So we can take meaning last as it says here or we can take seal either way, we can understand the Prophet Muhammad (peace and blessings of Allah be upon him) is one doing the sealing, the one doing the finishing, the one concluding, the one making prophethood inaccessible, Prophethood began with him and ended with him. As He was the first Prophet created in the realm of the souls and the last one sent to mankind. (Dohw Al-Amali sharh ala Bad Al-Mali). There are more hadith on this but I wanted to stop at this point making it very clear that no Prophet could follow him and then what about the station of Messenger? Is the station of Messenger still open seen as prophethood is ended? The term Prophet and Messenger are used interchangeably in the Quran and you can see this clearly when you look at the examples of the way in which the Prophet Muhammad (may Allah bestow peace and blessing upon him) is mentioned, using both terms. For a Messenger to come there needs to be a new law, there is no new law to come, the Shariah is the final law for mankind. These are proofs that no other religion could appear nor could another Messenger come with a new message after the Prophet Muhammad (peace and blessings of Allah be upon him) his law is final and conclusive. So there is no possibility of another Prophet or Messenger to come after Muhammad (may Allah bestow peace and blessings upon him). What about Jesus (upon him peace)? Jesus (upon him peace) will return to kill the Antichrist and re-establish the sacred law before the end of time. He will follow the law of Muhammad (peace and blessings of Allah be upon him) and will not bring about new message he will affirm the previous Message. Also note he is not a new prophet, he was a prophet before and now he is coming again. Therefore he is not bringing anything new he is affirming and this is an exception to the normal rule of the prophets. And as any Arabic student will tell you there is always an exception to the rule! The Prophet of Allah (Peace and blessings of Allah be upon him) said, "Allah the Almighty has sent unto the world no Prophet who did not warn his people about the appearance of the Imposter (Al-Dajjal). I am the last in the line of Prophets and you are the last community of believers. Without doubt, then, Anti-christ shall appear from amongst you." (Ibn Majah, Kitabul-fitan, bab:Dajjal). What about Ibrahim the son who passed away? The Prophet (peace and blessings of Allah be upon him) had three sons all of whom died in childhood or in Ibrahim's case a few months after birth. We said before that Prophethood passed from father to son. "If Ibrahim had lived he would be a truthful prophet." Reported by Ibn Majah chapter on funerals no. 1511. Some people use this as proof that prophethood could have passed on. Lets examine the words, لو lo means you are wishing for something that you know could never come true. For example I could say; If only today was Friday but I know that today is Saturday and that could not be Friday because that has gone. In either case the hadith is rejected. Also ponder that the outward of this narration contradicts the Quran passage saying that he is not a father of any of the men. So normally if there is a contradiction of hadith and Quran we either join them or look for an explanation like what we have explained above. So in any case the hadith cannot be used a proof, at all. Bukhari narrates that Ibn Abu Awfa said, "If there could be a prophet after Muhammad (peace and blessings of Allah be upon him) it would be his son but there is no prophet after him." This now cannot be understood in other way as it is proved beyond a shadow of a doubt. The progeny of Muhammad (may Allah bestow peace and blessings upon him) is from our lady Fatima (may Allah be pleased with her) and our master Ali (may Allah be pleased with him). So there was no passing on of Prophethood as it has ceased. And all the Prophet's (may Allah bestow peace and blessings be upon him) children who had offspring died in infancy. We have proved that the stations of prophethood and messengership have both ended. It ended with His message, it was not passed on nor was there a new message. No one can now claim that they are a prophet or a Messenger, they cannot claim that they are bringing a new message or following a message previous to Islam. So from the Prophet Muhammad's (may Allah bestow peace and blessings be upon him) time until the day of judgement, all claims of prophethood are false and baseless. Disbelief is defined as someone who rejects the Prophethood of Muhammad (peace and blessings of Allah be upon him). (Jawhar Al-Kalamiyya Sheikh Tahir al-Jazaair chapter one). Those who do not affirm this cannot consider themselves Muslims. This is a lie against Allah (the Exalted) and this is worst sin that anyone can do, do you really want to be caught out by God? This can only be an act of foolishness. I have not used all the evidences that I had, I have picked some and not others, so if you find other information that is appropriate to this subject then do not be surprised. This article refutes those who claim to follow another prophet in and outside Islam, as well as another messenger. As well as those try to fabricate a possibility which in itself is a rejection of the first Quranic verse presented and anyone who rejects a Quranic verse leaves the fold of Islam. Imagine a relay race, there are several runners, each runner takes the batton and runs with it to the next runner who then takes it on to the next runner. This cycle continues until the final runner receives the batton, he takes it to to end of the race. 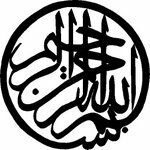 This is likeness of prophethood, each one carried the light and passed it on until it came to a end when it was given to the Prophet Muhammad (may Allah bestow peace and blessings upon him) and he completed it. Prophethood is not a station that someone can achieve, it is a station that someone is given. All claims of prophethood outside this are false and without truth. Every tree in paradise says Subhanllah, La illah ila Allah, Allahuakbar – Praise be God’s, there is no deity except God, God is the greatest. Filling the stomach with halal is the beginning of evils, how would it be with haram? Sufyan at-Thawri wore some clothes upside down and then he was told he was wearing it upside down – when he found it he refused to put it on the right way because his initial intention was to wear clothes for the sake of Allah, why should he change it for people? O’Allah do not make us weapons that will make us enemies to the nations and free us from servitude from other than you. This was put together by a student from information given by a teacher. Arabic verbs have forms or patterns which change or add to the meaning of the original meaning. This is a text that gives the pattern of the first ten forms of the Arabic verbs thats used in teaching modern Arabic. Traditional students learn more patterns that this. This is culled from a text that was given to me but I no longer have a copy of. It gives the understanding of the verb according to the form. Causative verbs (verbs that cause an action) describing actions. i.e. Caused someone to study, he caused someone to do. It does not need an object, it is intransitive. Verbs describing actions done to someone but not returned , or continuity. He wrote but he did not write back, he watched someone but the other person didn't. Verbs with concise meaning or making something possible. Meaning he expelled (or exiled) someone, or made someone present. تجمّع الناس he gathered people. Verbs where two subjects reciprocate in performing the same action (or feeling) described by a verb. I.e. Helped one another, watched something, wrote to each other. Verbs where the action described is perceived to have occurred on its own, something broke or a door closed on its own. These verbs are generally used to ask politely (or with humility) for something or someone to see the services of something, ask for forgiveness اِستغفر , he made used of something استمعل. Or it can be perceived as a request for something: i e مستشفاء hospital – seeking a cure.